Remember that cuddly plush robot from Startup Weekend, Kickstarter, Starter Studio, and Orlando called TROBO? 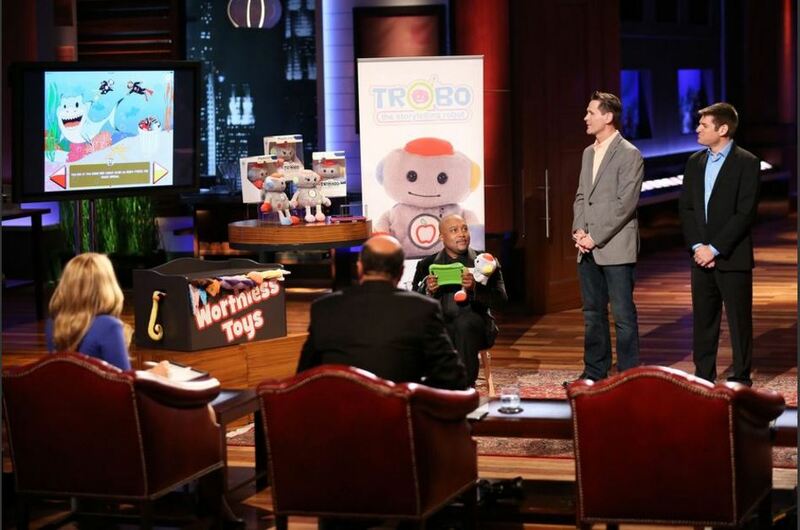 We’ll TROBO hits Shark Tank this Friday, April 8th at 9/8c PM on ABC. This is great new for entrepreneurs and fathers, Chris Harden and Jeremy Scheinbery, who invented the idea over a weekend at Startup Weekend Orlando. 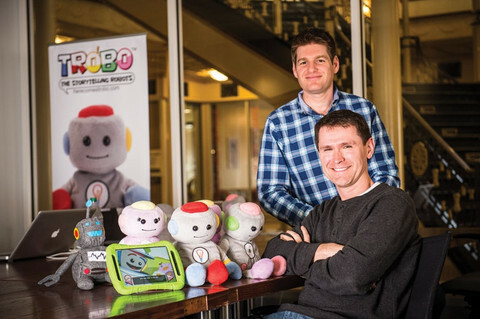 As a Startup Weekend organizer, TROBO Kickstarter backer, father, and educator, I’m proud to see these guys get a chance to get the funding they need to take TROBO to the next level in the educational toy world. TROBO could easily be the next Teddy Ruxbin for the tablet generation. If you didn’t know, Teddy Ruxbin generated over $93 million in sale in it’s first year and cost $70 in 1985. The same price as TROBO’s two model Netwon and Curie, currently available on their site and Amazon. Currently TROBO connects only to iOS devices but they have the option to pre-order an Android compatible TROBO that will ship by August 30, 2016. Expect TROBO to fly off the shelves on Friday night when they air on Shark Tank. We will just have to wait until Friday night to see what the Sharks think and if any will take the bait to back TROBO. What is the TROBO Stories app? 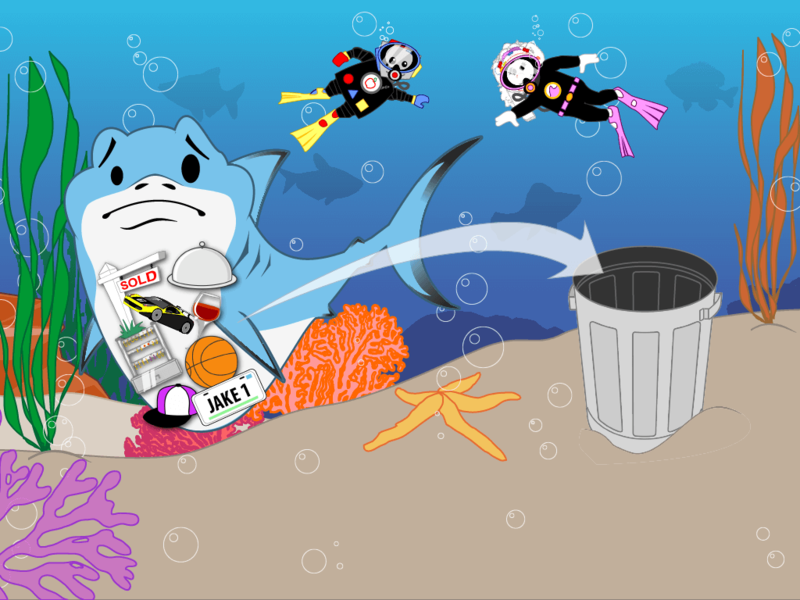 TROBO Stories app takes your child on adventures to learn What do Sharks Eat, How Honey is Made, What is Lightning, and more. Help your child get ahead in science and math by reading these interactive storybooks built for children age 2-5. Children build their own avatar and can even add their name to the app. The app works in English and Spanish. Our Shark story is a short format example. After enjoying that one, in-app purchase the other stories about topics like honey, lightning, cars, gravity, and counting money. Content is tailored to two age groups: children 3 and below and children 4 and above. – Length of the annual subscription: 1 year. – Price per stories: Most stories are normally $4.99, some short stories are $0.99, and some may vary in between these prices, based on value. As you may know, Trobo had a successful Kickstarter, were awarded a grant from the National Science Foundation and now we are going to be on Shark Tank! 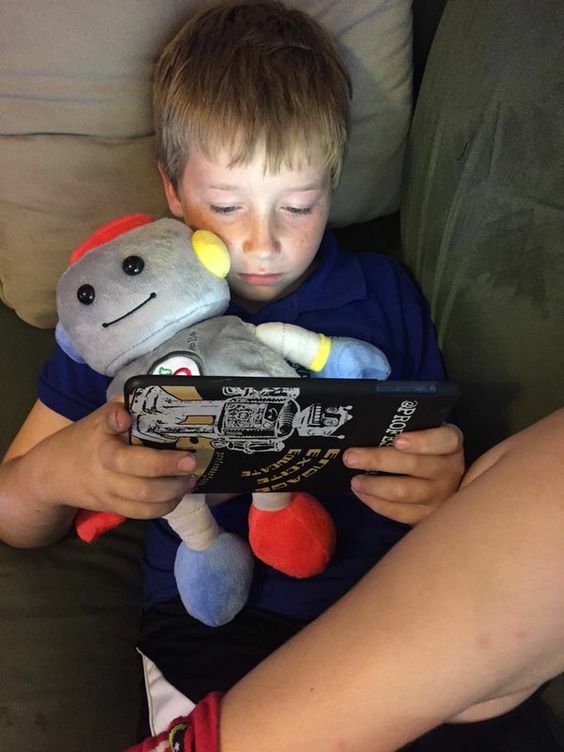 They have learned so much and want to share their knowledge in a new book called “Little Robot, Big Dreams.” It is the inside story of the TROBO journey. Check it out on Amazon (Kindle here, Paperback here). By the way, my son loves his TROBO!